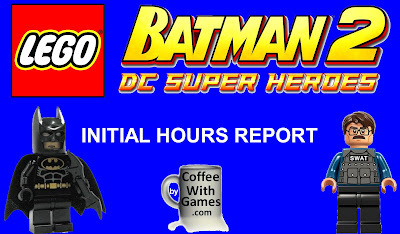 LEGO Batman 2: DC Super Heroes was released on June 19, 2012 for the Wii with a MSRP of $39.99. The game was developed by Traveller's Tales Games, and published by Warner Bros. Interactive Entertainment. It received an ESRB rating of "Everyone 10+" with "Cartoon Violence" listed as content for gamers and parents to be aware of. 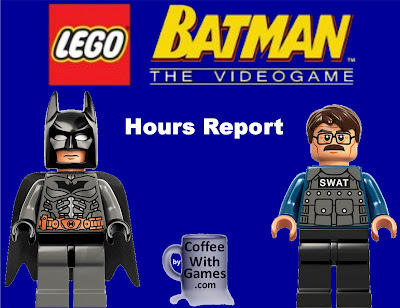 How many hours have U.S. Wii owners reported running around LEGO Gotham with the Dark Knight in LEGO Batman 2: DC Super Heroes since the game released? Brew yourself some coffee, and let's take a look! What is an "Instant 'Coffee' Video Game Award"? I'm glad you asked! I write many data posts and usually put many hours into each one reading about the games, looking for a trailer and/or game-play video, and often getting distracted reading about the developers and publishers of the games. While I do use older data reports as templates and to keep the layouts similar, every word and number in each data post is typed out and not copied and pasted from older data posts. So, back to this "Instant 'Coffee' Video Game Award". According to Dictionary.com, instant coffee is, "dehydrated coffee that can be made into a drink by adding hot water; 'the advantages of instant coffee are speed of preparation and long shelf life.'" While instant coffee isn't part of this instant giveaway, it might be in future giveaways. What about the "Video Game Award" part of the title? It simply means this award is video game related. Being that some have defaulted to referring to me as "Coffee" or "Mr. Coffee", that's where the "Coffee" part comes from in the title with quotes around it. I have done a few contests and giveaways over the last few years and the winners have usually been selected by dropping the entry names into a coffee container, shaking it up, and then drawing the winner out. With an "Instant 'Coffee' Video Game Award" though, the award is instantly awarded to the first person that responds either knowingly/unknowingly, with no coffee container drawing necessary. Who is the winner of the first "Instant 'Coffee' Video Game Award" and what did they win, and more importantly how did they win it? Make yourself some coffee, instant or not, and let's take a look! Sorry Mario, but your coffee is in another castle? Mario has a history of visiting castles, but often leaving them in worse shape than when he enters them. 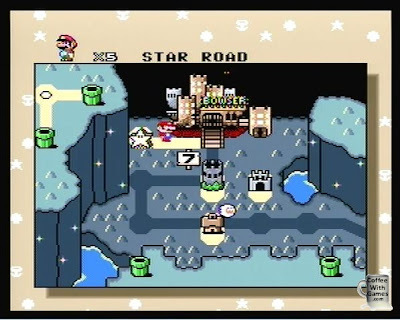 Super Mario World is a perfect example of this as Mario not only goes in and removes certain castle residents, but he then destroys most of the castles making sure the residents can't return. We have been playing Super Mario Bros., Super Mario Bros. 3, Super Mario World, and Super Mario 64 a lot over the last month and seeing many castles in the games. Bean 1 says things like, "Let's go to the castle! ", or "Mario goes to the castle! ", or "We beat the castle!". Anything to do with the castles seems fun for Bean 1, and he really enjoys playing/watching the castle levels in the Mario games. Perhaps the castles in Mario is what influenced me to finally drink coffee from a castle. What do I mean by "drink coffee from a castle"? 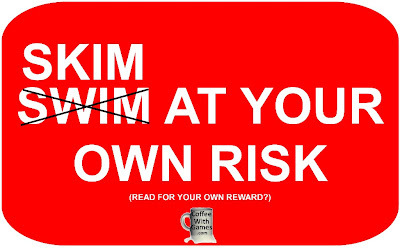 Brew yourself some coffee, and then take a look! Is Spider-Man amazing? According to his latest movie's title, The Amazing Spider-Man, he is. I personally find it amazing how much money each movie has made, but that's a topic for another day, maybe on another site. From my count, the Wii has had six video games with "Spider-Man" in their titles. At least two of the games have been based directly around Spider-Man movies; those being Spider-Man 3 and the recently released The Amazing Spider-Man. Today, we're taking a look at one of the Spider-Man Wii games not directly based on a movie though, Spider-Man: Edge of Time. 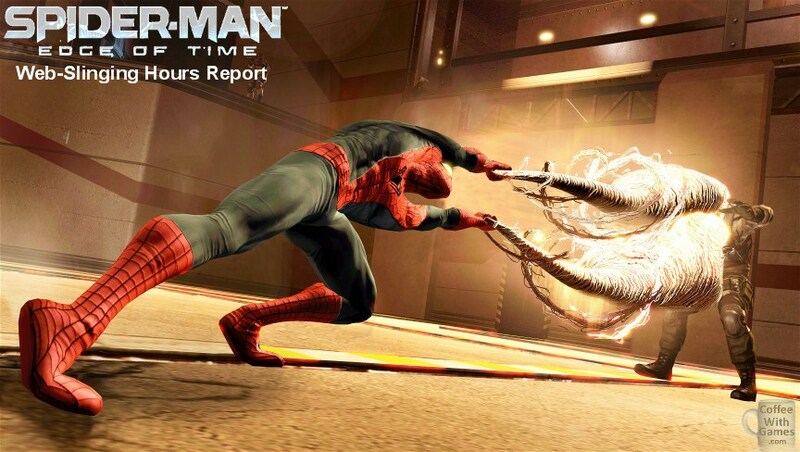 Spider-Man: Edge of Time was released on October 4, 2011 for the Wii with with a MSRP of $49.99. The game was developed by Beenox and published by Activision, and received an ESRB rating of "Teen" with "Mild Language, Suggestive Themes, Violence" listed as content for gamers and parents to be aware of. 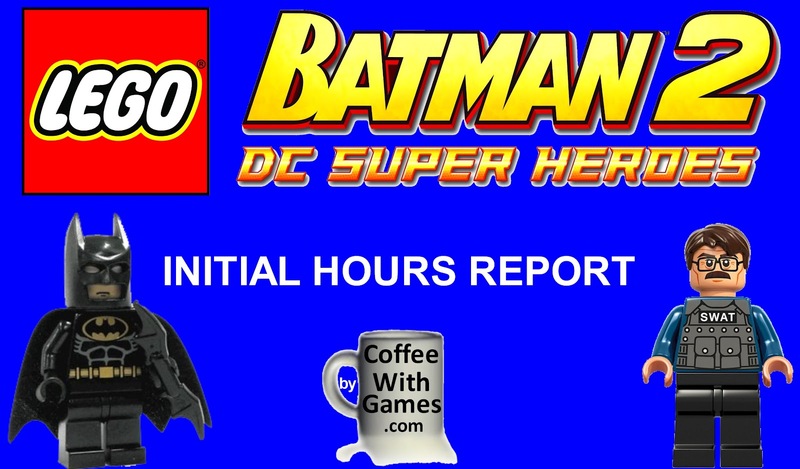 How many hours have Wii owners spent web-slinging in Spider-Man: Edge of Time since the game released? Brew yourself some coffee, and let's take a look! It's not even shiny, but I even noticed it online! Call of Duty: Modern Warfare 3 released for the Wii on November 8, 2011 with a MSRP of $49.99. The game was developed by Infinity Ward/Sledgehammer Games and published by Activision, but ported to the Wii by a team at Treyarch. The game received an ESRB rating of "Mature" with "Blood and Gore, Drug Reference, Intense Violence, Strong Language" listed as content for gamers and parents to be aware of. 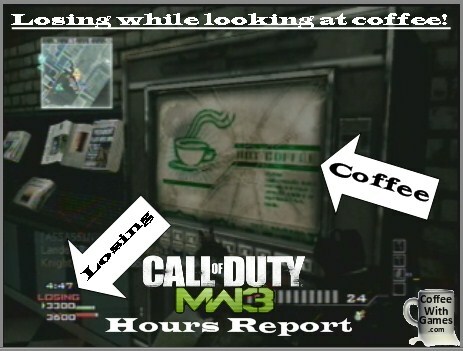 How many more U.S. Wii owners have reported playing Call of Duty: Modern Warfare 3 in the last 7 months. Also, how many more "Total Hours" of game-play have been reported since the first data report? Brew yourself some coffee, and let's take a look! Jump! Run! Kick! Slide! 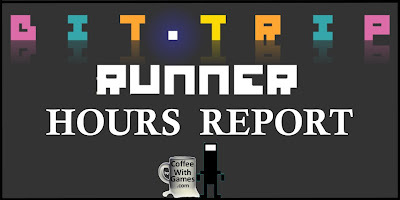 BIT.TRIP RUNNER Hours Report. BIT.TRIP RUNNER released on May 17, 2010 for the Wii, through the WiiWare service. The game was developed by Gaijin Games and published by Aksys Games. It received an ESRB rating of "Everyone" with no content listed for gamers or parents to be aware of, and released at a price point of 800 Wii Points, which is $8. How many total hours have U.S. Wii owners spent running, jumping, kicking, and sliding their way through the 2D Bit world with CommanderVideo? Does Bit.Trip Runner offer enough hours of game-play to justify its WiiWare asking price of $8? Brew yourself some coffee, and let's take a look! Rhythm Heaven Fever was released on February 13, 2012 for the Wii in the U.S. The game was codeveloped by TNX and Nintendo's SPD Group No. 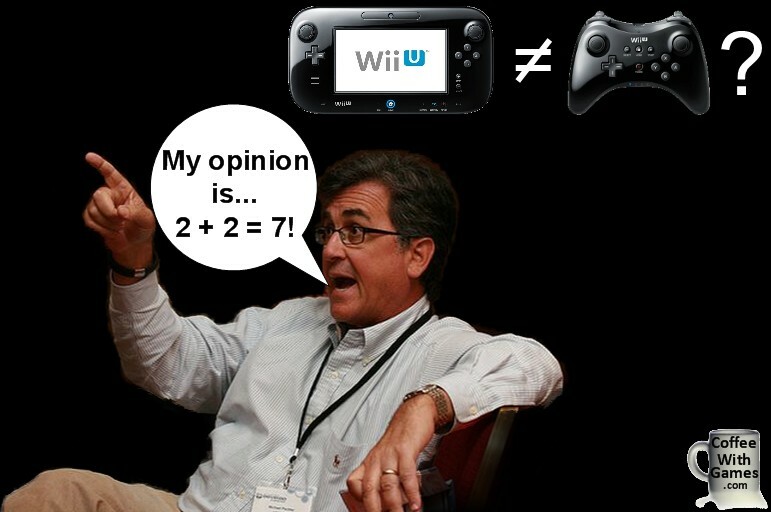 1, and published by Nintendo. It released with a MSRP of $29.99, and the game received an ESRB rating "Everyone" with "Mild Cartoon Violence" listed as content for gamers and parents to be aware of. How many hours of game-play can you expect from Rhythm Heaven Fever? Brew some coffee, and let's take a look at how many hours U.S. Wii owners have reported playing Rhythm Heaven Fever since it released in February! What happens when you start playing through Super Mario Bros. 3 with your three old son? Soon, he learns to move around the map and enter levels. He then starts to make slow progress in levels as he learns the importance of jumping, and that Koopas and Goombas are not your friends. What happens when we complete World 4? The Princess gifts us the "P-Wing" and it is stored in our inventory, where I forget about it like the other items there. After playing World 5-1 a few times with him watching, he decided he wanted the controller and I went to make some food for Bean 2. As I was preparing the food just a few yards away, I heard a sound coming from the television that caused me to look over. What did I see? 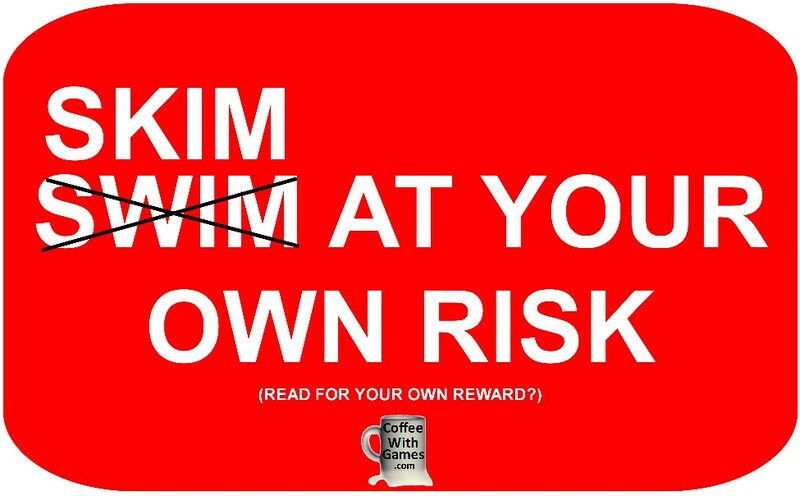 Keep reading in the Caffeinated Thoughts section below to find out! Super Mario Bros. 3 (SMB3) was originally released for the Nintendo Entertainment System, NES, on February 9, 1990 in the U.S. SMB3 was re-released for the Wii's Virtual Console on November 5, 2007 at a price of 500 Wii Points, which is only $5. The game was developed at Nintendo's EAD studio, and while it originally released before the Entertainment Software Rating Board's rating system was around, SMB3's Virtual Console release has an ESRB rating of "Everyone" with no content listed for gamers or parents to be aware. How many hours have Wii owners reported playing Super Mario Bros. 3's digital release for the Virtual Console in the U.S., since it released? Brew yourself some coffee, and let's take a look! How to survive Lord Vensor the 3rd in Challenge Mode? Rage of the Gladiator Battle! Can you survive all his magic acts? Magicians never reveal their secrets? Well, at least according to Lord Vensor the 3rd. Over the last 2 years, I have uploaded several boss battle videos from Rage of the Gladiator, and just last month a comment popped up on one of my older videos. What was the comment? It was a request asking if I would upload a video of a battle against Lord Vensor the 3rd. For clarification on the question, I asked "From the 'Challenge Mode' or the first time you face him? ", and Challenge Mode was the battle they were looking for. I checked some of my older video files from the game, and while I had a Lord Vensor the 3rd battle recorded, it was from the normal mode. I fired up Rage of the Gladiator a few nights ago, and decided to pay Lord Vensor the 3rd another visit in the arena, and check out his assortment of illusions. 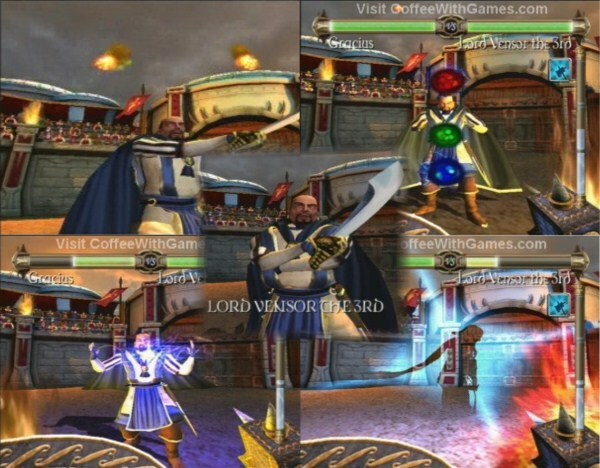 How did the battle go, watch the video below for a full Lord Vensor the 3rd Challenge Mode battle to find out! Are there any hints, or tips, I have to help you survive Lord Vensor the 3rd's assortment of illusions in Challenge Mode, perhaps a little more easily? Brew yourself some coffee, and read the hint/tip I have below with an image, that should give you help for learning how to more easily avoid his "magical" laser show. I reserved the original 3DS model, but then canceled my pre-order on it and I still have not purchased a Nintendo 3DS system. Nintendo announced a new 3DS model, the 3DS XL, just over a week ago now. 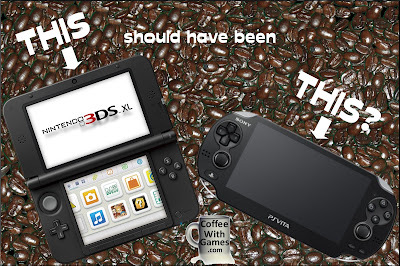 Was the new 3DS XL model shown what I was hoping for, and were the announcements at/since E3 for the 3DS system enough to get me excited about Nintendo's 3D handheld system? Maybe it was Capcom's Monster Hunter 4 3DS reveal today? Actually, neither one yet. What should have Nintendo's 3DS XL, or even just a new 3DS model in the future, look like that would get me interested in the console, perhaps enough to even buy one for if/when Monster Hunter 4 releases in the U.S. next year? 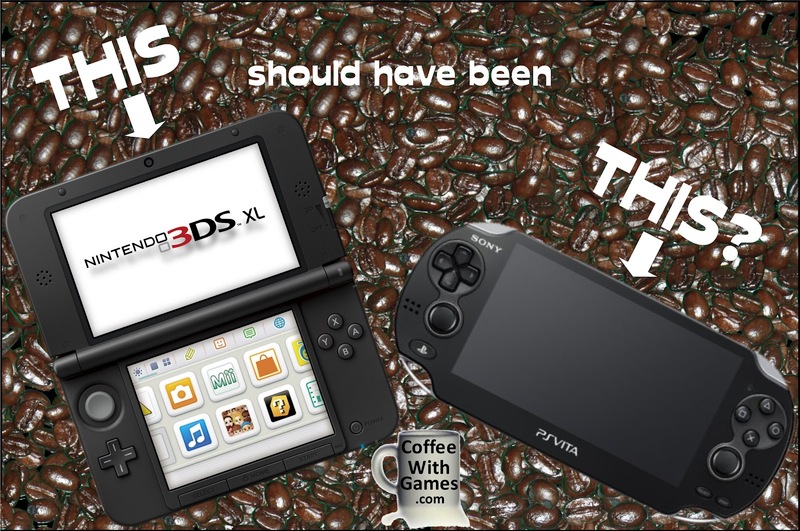 Brew yourself some coffee, and let's take a look at two 3DS XL redesign options, that are better than the Nintendo 3DS XL's current design...at least in my caffeinated opinion. THESE are what the 3DS XL should have looked like!